I know, this post has quite a lofty title to live up to, but I think it does! I’m continually tweaking recipes. 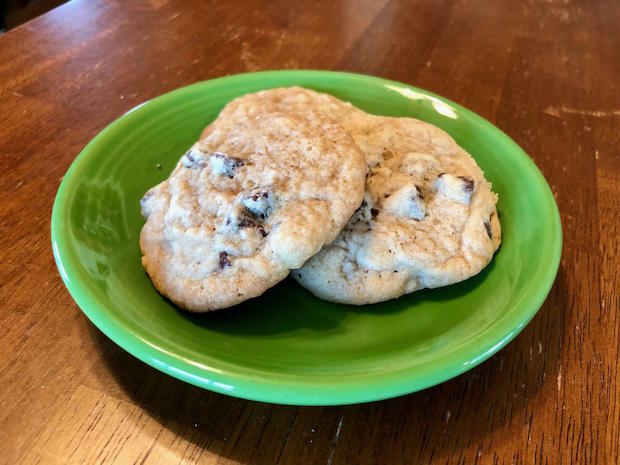 I spent about six months perfecting my malted milk chocolate chip cookies, honed my butter browning skills to create my mint dark chocolate chip cookie recipe, and won’t tell you how many batches of black bean soup I made before I felt confident enough to post that recipe. All this to say, baking and cooking science fascinates me. Different flours have varying protein contents, adding air in increments to butter and sugar mixtures changes the texture of a cookie, smoking meat with different types of wood chips totally changes the flavor, and various spices bring out different flavor notes in a soup. The ratio of white sugar to brown sugar, types of flour, and amount of butter and vanilla extract are what makes these chocolate chip cookies the best I’ve ever baked. Okay, enough science. Let’s get to the recipe! What’s your ultimate chocolate chip cookie like? Thank you so much for sharing ~ and bring me a cookie now!! You can have a cookie when you come over tomorrow! These sound like my sort of cookies… I’m in the UK so not familiar with ‘sticks of butter’, do you know what they weigh so I can buy the right amount? 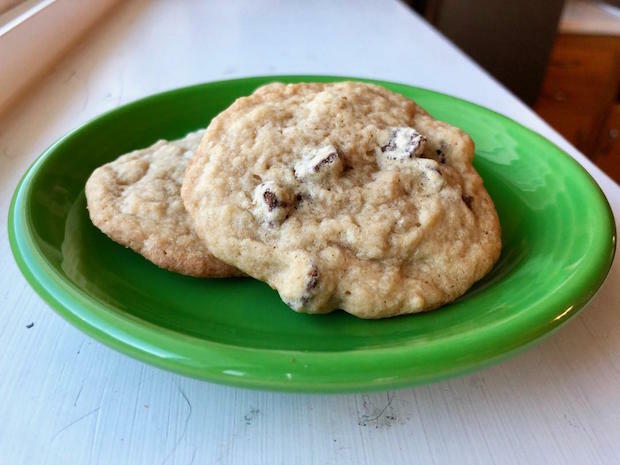 I have two chocolate chip recipes that I’m obsessed with. 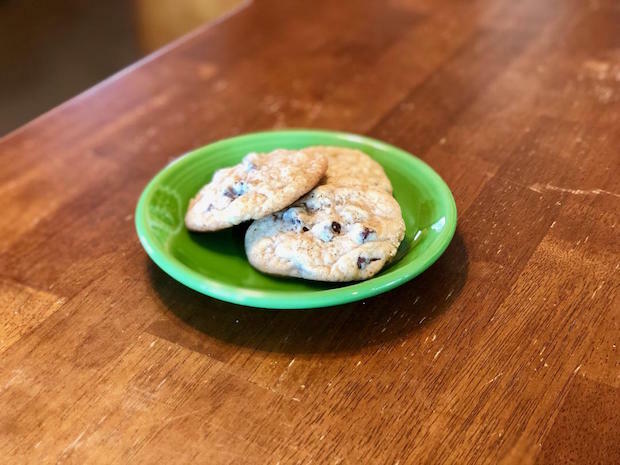 The first is a graham cracker chocolate chip and the other is Joanna Gaines’ recipe from her cookbook. But can’t say I’ve ever met a cookie I didn’t like! My sis loves the Joanna Gaines recipe! I am going to start researching graham cracker chocolate chip cookie recipes now! GCs are one of my favorite foods! Would you mind sharing the link to your recipe?! I am with ya on not meeting a cookie I didn’t like haha! It’s from her cookbook! But this link looks like they took it right from her book. Highly recommend her cookbook. All of the recipes I’ve tried are delicious! YUM, these sound GREAT!!! Normally I use the Nestlie’s (sp?) recipe on the back of the chocolate chip cookie bag, and they are really good. But they have that crunchy, then chewy, texture… and I’m actually a chew chocolate chip cookie girl too! So I’m definitely excited to try these, because I have a feeling they’d be a favorite for me too!!! 🙂 Thank you for sharing! Thanks, Nicole! The Nestle cookie recipe is great!! Can’t beat a classic! These sound amazing!! Thank you so much for sharing the recipe. I will have to try this, because I don’t think I’ve ever seen a chocolate chip cookie recipe like this before (with cake flour)! I’ve yet to have homemade chocolate chip cookies turn out well, so I’ll all down for trying this. I love how you explained the cooking science as well! Thank you, Courtney!! I hope these turn out well and that you enjoy them if you give them a try! I am way too into cooking and baking science, haha. I’m glad you appreciated it! Yay! Same.. unless there’s a glass of milk nearby haha! I love the heart and soul you have put into making these the best ever! It’s amazing how little tweaks and changes can make such a big difference in a recipe. Haha, thank you Rach! I got super into the research with these, lol! Those truly look perfect!!! I am bookmarking this recipe right now!